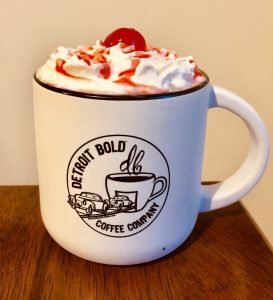 Here’s a fun Halloween coffee recipe that is easy to make and will be a sure hit at the office or your next Halloween party! 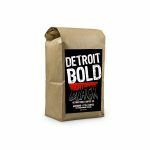 Step One: Start with the Detroit Bold Nightmare Black Coffee. It’s a Halloween coffee favorite & the bag alone will be sure to raise eyebrows! Step Eight: Add a cherry on top! Enjoy this delicious, easy to make Halloween coffee recipe and let us know what you think!